Yvette has been part of the TSO Spring team since March 2013. 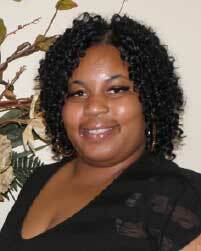 With a warm and caring smile, Yvette is at our front desk directing patient care in our clinic. As our front office liaison, she is well versed in insurance, billing, scheduling and clinical care. Outside of the clinic, Yvette enjoys spending time with her family and loves to shop for shoes!